Intuos Art replaces your mouse, enabling you to paint, design, and create directly on your computer. The pen feels and behaves just like the traditional brushes, markers, and pencils you're used to. 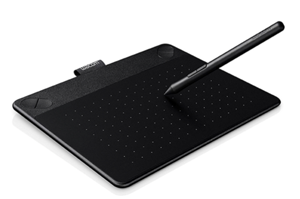 The Wacom Intuos Art Medium is pressure and touch sensitive.